Imagine being the captain of a ship stuck in the middle of a terrible storm at sea. You sail blindly into the night knowing the lives of everyone on board are at risk. But out in the distance, you spot the glow of a warm light leading you away from danger and back home again! 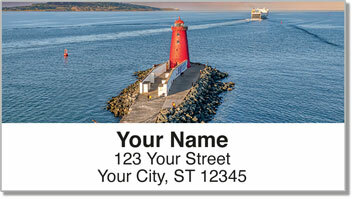 Pier Lighthouse Address Labels from CheckAdvantage feature eye-catching photography of four different maritime buildings. 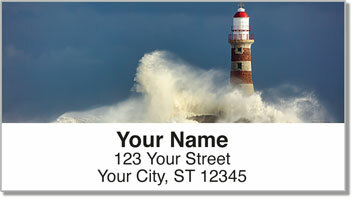 They can be a useful time-saving tool when you need to prepare letters and packages for the mail. A self-adhesive backing means all you need to do is peel and stick. 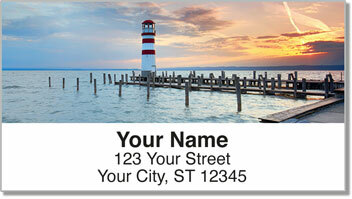 Get your very own Pier Lighthouse Address Labels today! 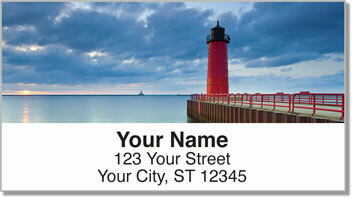 This scenic selection can also be ordered as a set of matching personal checks.